Stephen Wambach brings 25 years of international experience to Palm Springs. His French-influenced “nowhere to hide” cooking style offers a mix of sophistication and technique with seasonal dishes of internationally inspired ingredients, representative of the chef’s travels abroad. Prior to moving to the Coachella Valley, Wambach trained with distinguished chefs and brought his knowledge and passion to top-notch restaurants around the globe. The Manhattan native began at an early age, stocking shelves at his grandparents’ general store. His had his first role in a professional kitchen in 1999 as a tournant at Manhattan’s 44 at the Royalton Hotel. He was mentored by consulting chef Claude Troisgros and guest chefs Marc Meneau, Jean-Michel Lorain, and Jean-Pierre Vigato in one-month intervals. With a recommendation from the chef de cuisine, Wambach received an apprenticeship at three-Michelin-starred restaurant L’Esperance in Burgundy, where he developed his keen attention to detail. 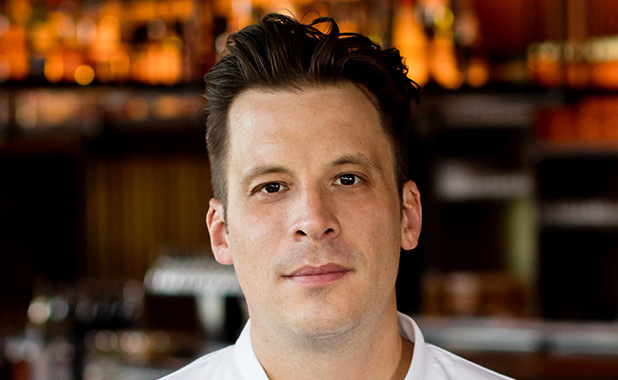 Troisgros then hand-selected Wambach to transfer to The Blue Door in Miami’s Delano Hotel to work as sous chef under chef de cuisine Damon Gordon, helping the establishment attain four Mobil stars. In 2004, Wambach opened French-inspired Brazilian restaurant Caviar Banana in New York, following a six-month stint at Troisgros’ Olympe in Rio de Janeiro. He was next mentored by the acclaimed chef Laurent Tourondel, who was quick to promote him to chef de cuisine at the flagship location of BLT Steak in New York and then corporate chef with the BLT Restaurant Group. Wambach opened concepts in multiple cities across the country, including Las Vegas, Los Angeles, and Dallas, managing 14 restaurants’ food and labor costs, creating menus, collaborating with the project manager, overseeing more than 300 international employees, and organizing special events for Tourondel including a lunch for 200 at the White House. Ready to make a personalized mark, Wambach relocated to Chicago in 2009 to open Epic, earning the restaurant numerous accolades, such as Esquire‘s “20 Best New Restaurants.” During the same year, he also opened BLT locations in Hong Kong and Miami. In late 2010 he reconnected with Tourondel in Panama for the opening of the Hotel Manrey on bustling Calle Uruguay in the heart of Panama City. Thereafter, Food & Beverage Director Christian Klaus hired him to consult on The Grill Room, a Mediterranean-influenced restaurant at The Four Seasons Hotel Beirut in Lebanon. In 2013, Wambach joined Michelin-starred Marc Forgione as chef de cuisine of the contemporary American restaurant in New York City. Returning to Chicago in 2014, Wambach led the five-star Four Seasons Chicago as executive chef, revamping Allium Restaurant to receive three stars from the Chicago Tribune. He was also one of two company chefs invited to headline Chef Fest in Hualālai, Hawaii. Most recently, he was the opening executive chef of the Kimpton Rowan Hotel in the heart of Palm Springs. At the fine dining restaurant Four Saints, he tapped the best products found locally and abroad to present an approachable yet refined menu that, according to Palm Springs Life magazine, “turned heads last year for its stellar rooftop dining experience.” He was thrilled in November 2018 to be invited to represent the Coachella Valley at the Beard House NYC along with other incredible local talent.